You bet you can! 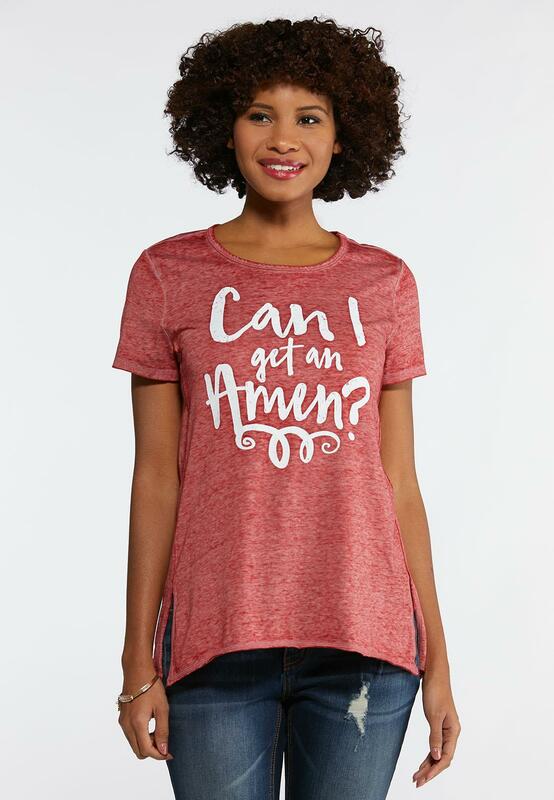 Show off those affirmative thoughts with this soft knit tee, featuring a scoop neckline, side slit detail and the phrase, "Can I get an Amen?" 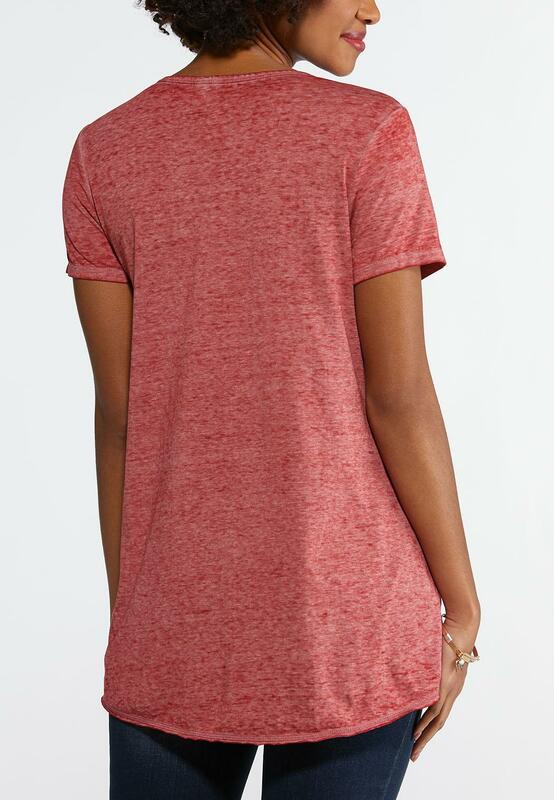 for a fun, statement finish.